"The law is clear," Pachon said in a statement emailed to Anadolu Agency. "The President has no discretion here. He's either complying with the law or breaking it." 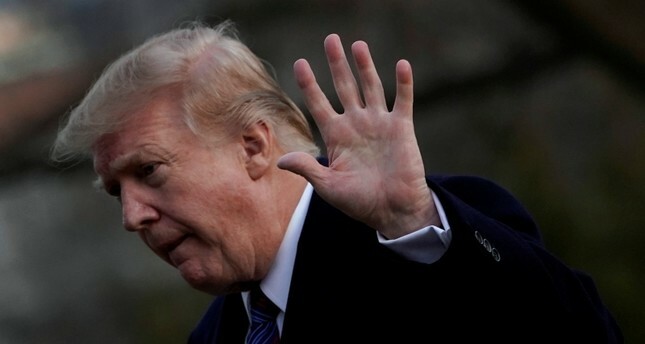 The administration official, who spoke on condition of anonymity, however, told Anadolu Agency that Trump "maintains his discretion to decline to act on congressional committee requests when appropriate". "The State Department updates Congress regularly on the status of actions related to the killing of Jamal Khashoggi," the official added, pointing to actions the administration took to pull the visas of 21 Saudis and sanction another 17 accused of being tied to his murder. But those actions have been called insufficient by many in Congress who insist the journalist's slaying could not have been carried out without bin Salman's explicit approval. Saudi Arabia has sought to distance the crown prince from Khashoggi's murder, as has Trump. Menendez, the Senate Foreign Relation Committee's top Democrat, introduced legislation Thursday alongside a bipartisan group of lawmakers to halt U.S. support for the Saudi-led coalition's war in Yemen, and which would require the U.S. to institute sanctions on those responsible for Khashoggi's murder. Menendez said the legislation is needed because the Trump administration "has no intention of insisting on full accountability for Mr. Khashoggi's murderers". "It is time for Congress to step in and impose real consequences, to fundamentally reexamine our relationship with the Kingdom of Saudi Arabia and with the Saudi-led coalition in Yemen," he said. "As I warned the administration last year, we will not accept the killings of more civilians and journalists with impunity and without consequence."